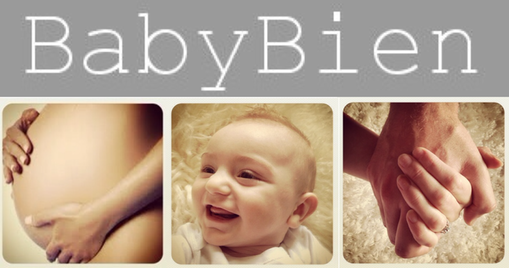 "I highly recommend�BabyBien�to all Local Mums.�I thought it was all great. Kate was excellent; she has a lovely manner and is very friendly." At Baby Bien we know how special the journey from pregnancy to the birth of your baby is and offer hypnobirth workshops and pregnancy relaxation classes using Natal Hypnotherapy™ techniques to help keep you calm and relaxed during your pregnancy and go on to have the birth experience you want. Natal Hypnotherapy™ is the UK's leading form of hypnobirthing and is a safe and natural method of preparing for birth which uses self-hypnosis, deep relaxation and visualisation techniques. The method prepares women emotionally, physically and mentally for pregnancy and birth, and has helped tens of thousands of women in the UK overcome fears, be more confident and have a calmer, more relaxed pregnancy and birth. Hi, I'm Kate and I had my first baby, Jonah, in November 2012. I used Natal Hypnotherapy for the birth and had a relaxed and beautiful experience. Like a lot of women, I was nervous about the birth, not knowing what to expect and scared that I wouldn't be able to cope with the pain. I first heard about Natal Hypnotherapy via a friend when I was seven months pregnant. I read story after story from women who had successfully used the techniques and had experienced calm, relaxed and even pain free births. It all sounded too good to be true but I decided that it was definitely worth a try. What could I lose? My body knew perfectly how to grow a baby so it must also know how to give birth. I should just trust my body. So I started listening to the CDs and signed up for a workshop. I had a very strong idea of the birth that I wanted – as natural as possible in a birthing pool. My waters broke but I didn't go into labour. As a result I had to be induced and the birth centre pool experience became a distant dream. I was hooked up to a monitor and induced via a hormone drip – basically everything I hadn’t wanted. The doctor warned that this was likely to be very painful and that I was likely to need an epidural. Despite things not going quite according to plan, I went on to have my perfect birth experience. My lovely midwife, Hannah, was supportive of hypnobirthing and all of the skills I had practised just kicked in. I was relaxed and focussed and went on to give birth in just over 3 hours using only a tens machine for relief. I felt completely calm and in control and the pain I felt was minimal. My partner still maintains that I made more fuss when they put the drip into my hand than when I actually gave birth! 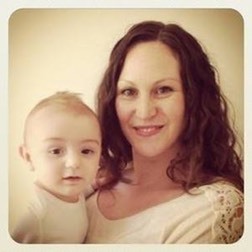 Choosing Natal Hypnotherapy was the best decision I could have made, for me and for my baby. My experience has changed my perspective on birth and inspired me to train to teach Natal Hypnotherapy™ so that I can help other women have a positive and relaxed birth experience. For more information please contact me or visit the website.